A simple way of introducing yourself to a woman that instantly creates comfort, trust, and connection. 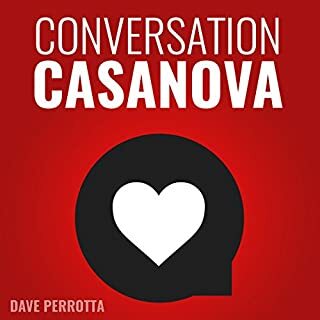 How to be an incredible conversationalist...even if you've been at a loss for words with women your entire life. Foolproof strategies for turning first meets into phone numbers, dates, and relationships...with stunning consistency. While listening to the book, I realized that a lot of the advice was very familiar to me. But it was the old me. I was younger, braver, had more hair, had less weight. I used to never struggle with women but over time if you "don't use it, you lose it". A lot of factors play into this but that's beside my point of reviewing this book. 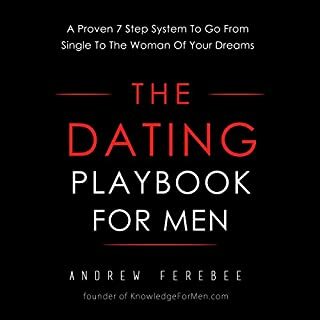 This book truly will help you reach your goal if it's just getting laid or looking for something serious like a long term relationship. For me it helped me get to know a girl I had a huge crush on at work. The best part is that you don't need to use every step in the process. You can choose which parts fit best in the situation you're in. For me it was all about getting to know someone better by leading the conversations and having in depth, meaningful and personal communication. It worked! I was able to get the girl to find me attractive and advance our friendship into something more. Buy this book now, it will change the way you think and give you all the right tools to reach whatever your goal might be. 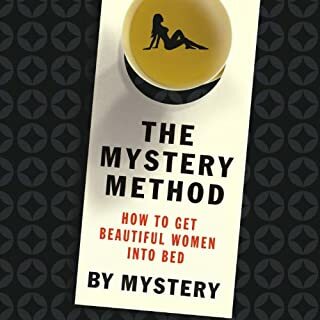 mystery method or the game for dummies. The into is long and the audio is someone practicing speech cadence, with drags out this very short book. The information is good, but lacking as an item that you purchase, instead of getting everything you might need it serves as an advertisement for puatraining.com, repeatedly. and while having additional research material sources is fantastic, it just feels like I paid for a pamphlet with some tips I could easily find online, and an advertisement to more material to purchase. 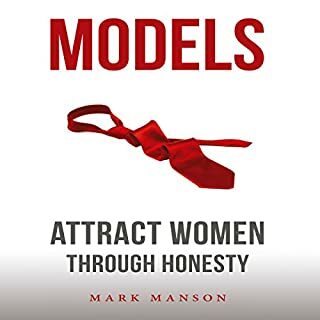 Books like the mystery method, and the game while sometimes being harder to comprehend, at least give you everything you need to develop yourself, and any additional research you do will just speed up your results, where as here you're basically getting the game light, with some additional examples of personal experience. Those examples are great! but the book left me feeling that it was lacking in content and learns too hard on "buy a pick up boot camp!" or "it's in much better detail on puatraining.com." Those aren't quotes, just what I felt the book was really saying. This book is a lot easier to understand than the Mystery Method book. Instructs you on how to meet and start conversations with women and how to gain their interest. A good book to pair this one with would be 3% Man by Cory Wayne. Natural teaches you how to meet and attract, 3% man teaches you how to keep that attraction and to be good at the relationship itself. By one of the best! absolutely one of the best! most definitely would recommend this book to anyone that wants to improve themselves. Regardless your motivation for reading, this is NLP and personal self help gold! Thank you! This was and is worth my time. Great material :-) Only drawback is not knowing this sooner. A lot of this I did by accident and its good to know what I'm doing too make sense of it all. The key is repeat. Good luck. First of all, the cheesy Rico Suave character reading this garbage needs to go. I looked up the real guy and he’s kind of a timid sounding Englishman. Had he read it himself there may have been a better sense of legitimacy. As far as the content. Zero new standard POA material here. the information lresented was s fantastic, and presented in a very understanding manner. I heard things I have not heard in other books. Best book I've probably read and ever will. Pretty awesome, I thought some parts where kind of boring but the whole book helped!